All photos by Jonathan Pirro. 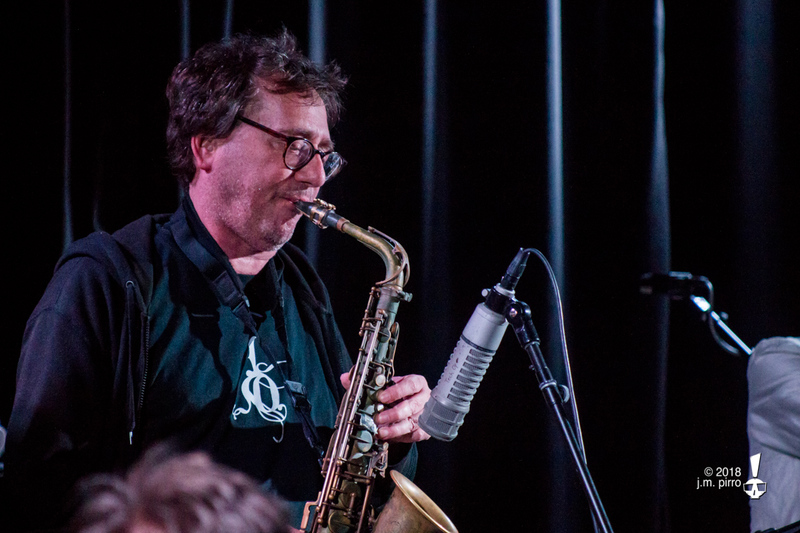 While many musicians will choose to ring in certain birthday years with private celebrations, or the occasional big, single-show event, experimental-music maestro John Zorn busies himself by performing dozens of concerts — a practice he began at age forty, and has continued steadily for the decades that followed. 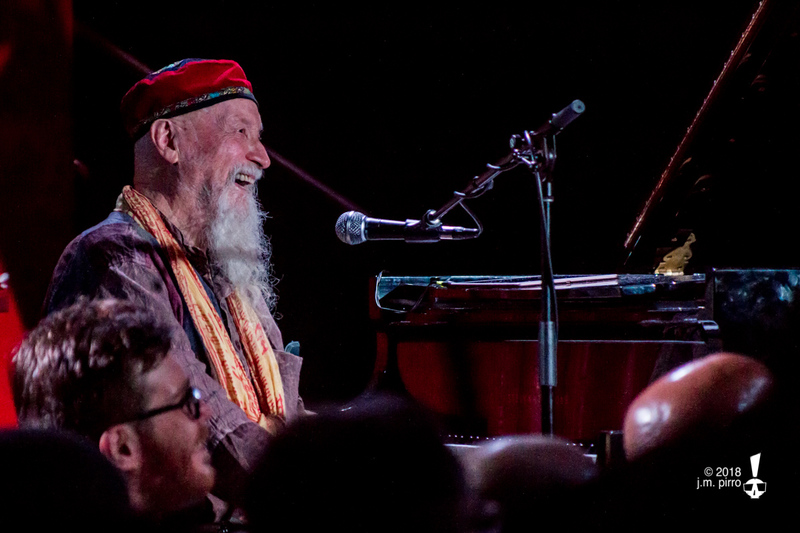 2018 has marked his 65th year on this planet, and he kicked it off in a similar fashion, with seven performances across four nights at The Chapel, his most recent San Francisco haunt of choice. Though anticipation for many of the performances was fairly high amongst the avant-garde music scene of the Bay Area, the first show to actually sell out was the earlier of two Monday shows. 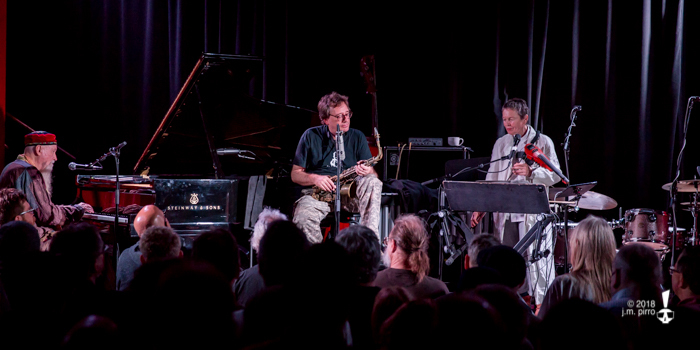 On this occasion, Zorn was joined by two other auteurs of the experimental scene — performance artist extraordinaire Laurie Anderson, and minimalist pianist Terry Riley — and the trio wove a spellbinding set, comprising four pieces of increasing complexity, strangeness, and wonder. 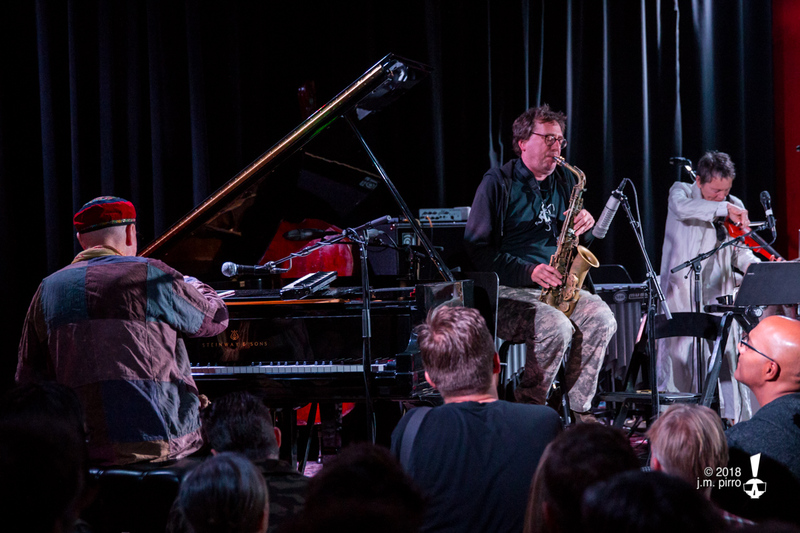 Though Zorn’s last visit to San Francisco primarily seemed to focus on a full repertoire of musicians engaged in an altogether more violent set of compositions, this evening’s trio struck a delicate balance, which shifted back and forth over the course of each piece. Riley, rarely looking up from his Steinway except between songs, steadily set the pace with his lumbering, but steady, rhythms and melodies. Occasionally, the duty of bearing the song’s backbone fell to Anderson, who ebbed and flowed — from shrill cracks across her violin strings, to brittle, haunting notes that filled the space where Riley’s notes had laid the foundation. Rounding out all of this was Zorn, who occasionally would flirt with melody and tonality when he wasn’t working up a howling, squawking cacophony from his alto sax. The focus and tone of each of the five pieces — one of which may have been an accidental encore, as the musicians seemed surprised to be returning to the stage! — was inconstant, always shifting, with no one member really leading the piece. While Zorn’s playing was often the loudest, and most piercing, he definitely wasn’t afraid to drop into smokier, warmer notes, offering an almost jazzy feel to the otherworldly pieces while Anderson would pluck, scratch, and tear into her own sections with (despite its chaotic sound) an elegant precision. Riley kept up the steady rhythm of each piece, but would also delve into his own leading parts, whether on piano, melodica, or even what appeared to be an iPad perched on the edge of the open piano. Few words were spoken by the performers, aside from Zorn introducing his cohorts with excited shouts over the din of ecstatic cheering that followed each piece. 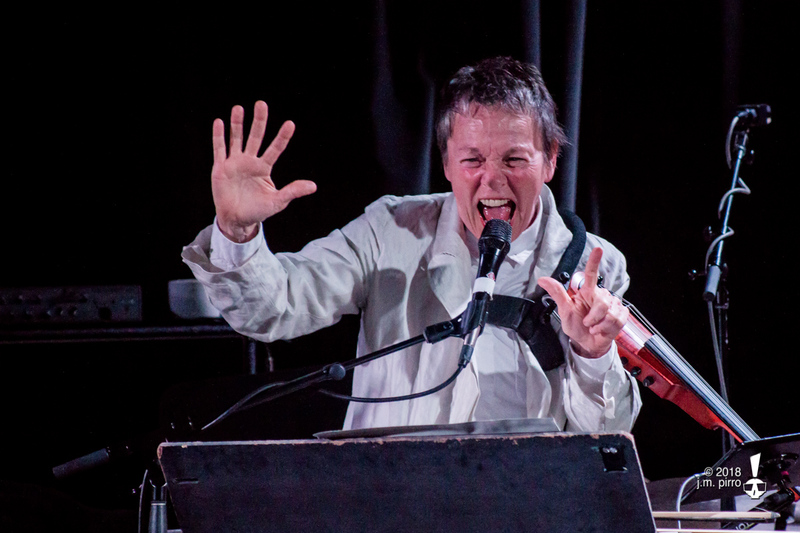 The exception to this, however, was Laurie Anderson, who introduced the third song of the set with a bit of parable. Recalling the immediate moments and shocked conversations that followed the election of 2016, Anderson recounted Yoko Ono being asked to make a comment by a newscaster; ever the unpredictable, Ono responded with a piercing, wailing scream, which went on for an entire minute. Smiling at the audience’s laughter and cries of appreciation, Anderson then encouraged everyone in the Chapel to join in the fun, albeit for a shorter time — and after a brief countdown, the next ten seconds passed with every human in the building screaming at the top of their lungs along with her. With so much experimental music simply being a performance that is observed but not engaged with, it was no doubt refreshing, or even cathartic, for the audience to be able to share the energy of the performers onstage. Though the evening lasted barely an hour, it was one mesmerizing journey of improvisation, of melody, of chaotic sonic expression, breathed into classical composition. While the three musicians onstage may have wielded their instruments in ways not often followed by a lot of “popular” music, there was no doubt that three kindred spirits, with rather expert skill in their compositions, were working together in that room to show what lengths music could go to and still be able to call itself “music”. If this was the magnum opus of Zorn’s 65th birthday celebration, one can only imagine what his 70th is going to be like! For more information about John Zorn, see his Facebook page. Find out more about Laurie Anderson here. 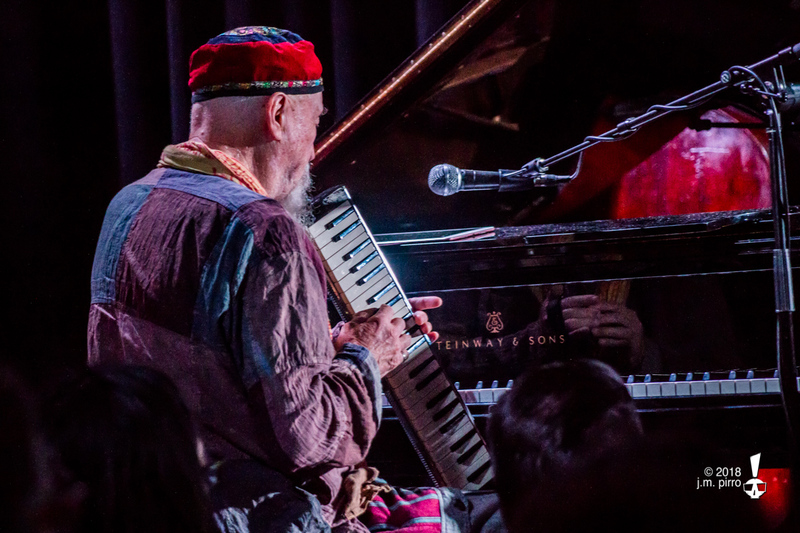 Everything you want to know about Terry Riley is on his website. A tireless music enthusiast across dozens of genres, Jonathan has been regularly attending concerts in numerous roles, from dedicated staff member to passionate fan, for nearly two decades. A graduate of the East Bay's own SAE Expression College, he has a Bachelor's degree in Sound Arts, though he has been exploring the visual aspect of the music industry as a concert photographer for ten years in between his recording projects. When not at a show -- whether in the photo pit or hogging the front and center of the rail -- you can usually find him in the throes of his intense powerlifting routines at the gym, exploring the food and cocktail scene of the Bay Area at large, or preparing for his next intense year at the Burning Man festival in the Nevada desert.